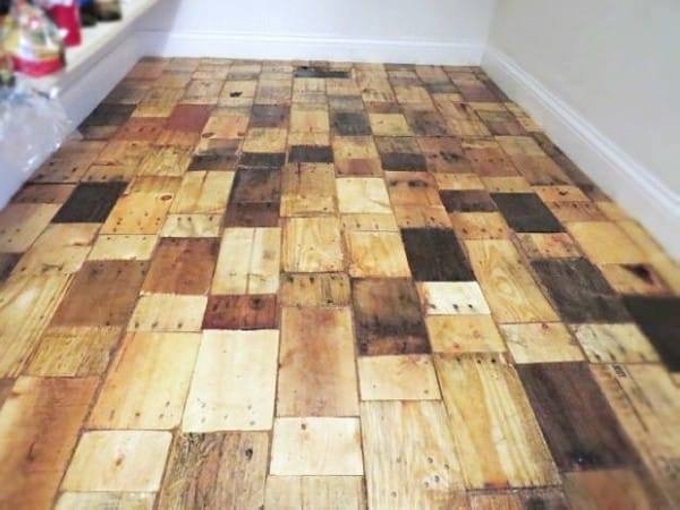 Wooden flooring is something which really escalates the beauty of your home interior. Not only it add to the interior beauty of your home but it also enhances the value of your home or apartment. 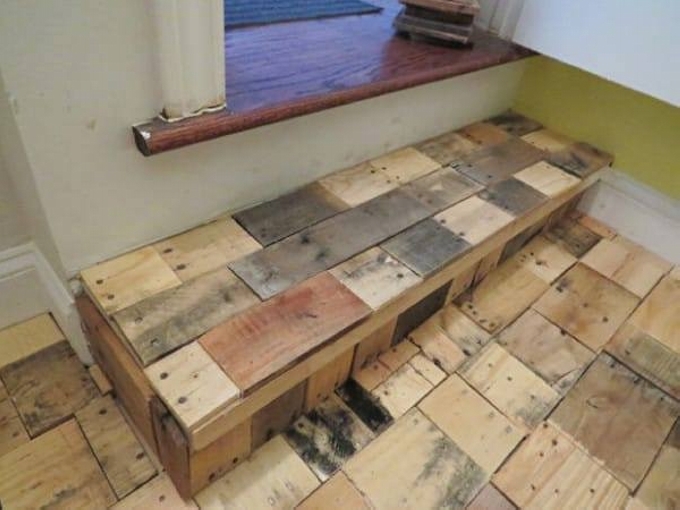 Pallet wood flooring is a great substitute in this regard. It can save a bunch of bucks. 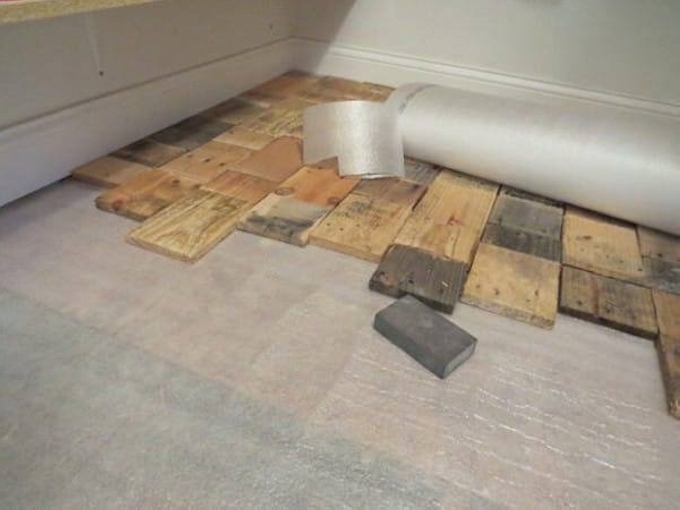 Here in this DIY article we are going to have a look on the very basic procedure of pallet wood flooring. As you can see in the pictures, before performing this task you need cut to size pallet wooden slabs. Which are smartly cut equal in all the dimensions. 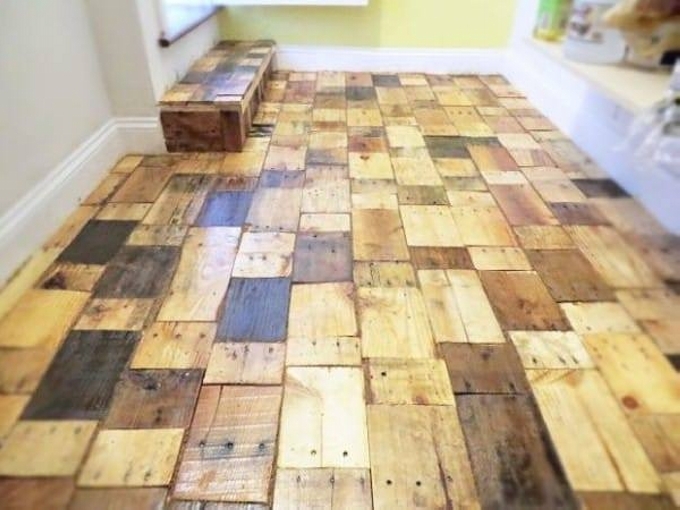 These pallet wood slabs need a perfection and symmetry in their size. First of all take the measurements of your room size. Now cut the wood slabs or bars keeping in view the measured dimensions. 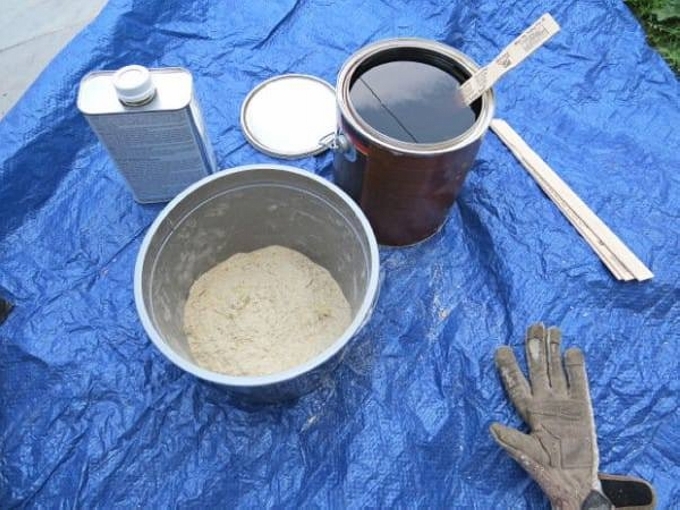 Here in this DIY project we are going to use glue down method which is predominantly used on concrete slabs. 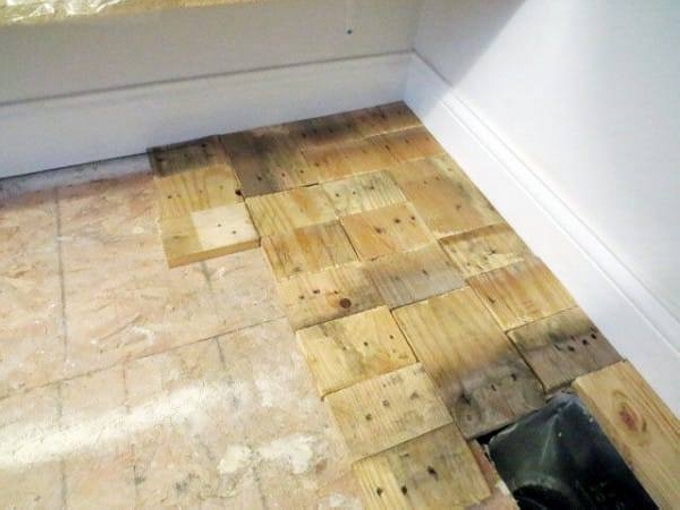 These gluedowns are going to be installed by trowel spreading of adhesive on subfloor in a pre determined area. So you have to glue down each and every slab one at a time into the adhesive until the glued area is covered. Once it is done, another area is marked and laid. First of all you have to fill in all the pores and holes on the surface of subfloor. Once it is done, start gluing down the pallet wood slabs individually. Bear in mind that these typical adhesives are going to cost you a lot. 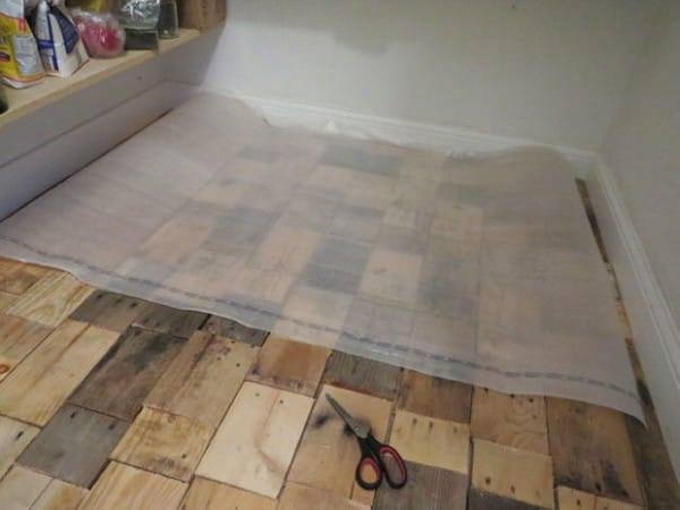 So once you are done leveling the subfloor, start the procedure of gluing down one by one. Stick to the rule and be critical in the measurement process to avoid any uneven space. Also take precautionary measures and tools like glasses for eyes and knee jackets to avoid any injury during work.